Sunnyside Services LLC offers a wide range of flooring installing services. Sunnyside Services LLC a floor installation company does guarantee lowest price on hardwood, laminate, tile and vinyl floor installation. We will beat our competition by 5%. Floor installation can be tricky if you not sure on what to do. Leave the floor installation to a professional flooring contractor. Sunnyside Services LLC made a video on types of things we have done Here. 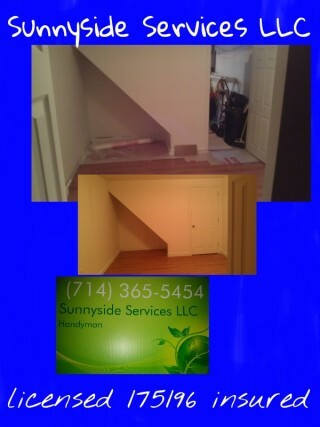 Sunnyside Services LLC also made a floor installation cost guide Here. We also made a post on floor installation guide Here.This Link Here will bring you to our main page. Where located in Grafton, Ma We offer free estimates and measure. Thanks for checking us out we look forward to doing business with you.